1. 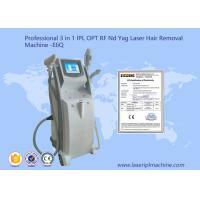 Non-invasive: No wound of skin. 2. 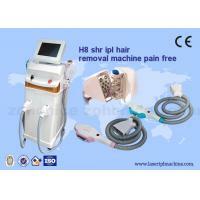 Painless: Adopts ipl shr e-light opt ipl shr technology, ipl handle can shot continuously and fast. 3. Security: E-light can avoid the side effects of the glare effectively, simultaneous, also can reduce the difficulty of operation. 4. Effect: A wider range of applicable customer, instant effect is more obvious, while long-term effect is more durable. 5.Multifunction: Adopt the latest high technology,with a wide application. 1. 1064nm Wavelength: Remove black and dark blue tattoo pigments, such as tattoos, eyebrows, dark color around the eyes, freckle, age spot etc. 2. 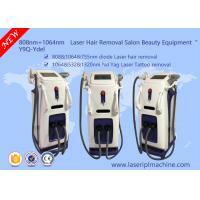 532nm Wavelength: Remove red and brown tattoos and red mark. 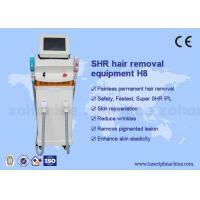 3.1320nm black doll treatment, skin rejuvenation ,skin lifting and whitening. 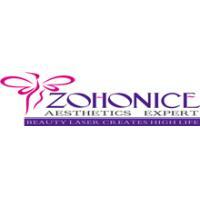 Skin treatment: Skin tightening, skin lift, shrink pores. 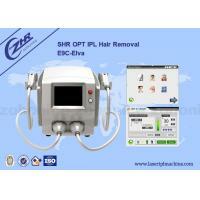 Hair removal: remove unwanted hair. 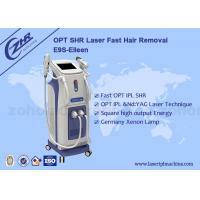 Pigmented lesion treatments: Spotted skin, skin patches, capillary dilation, skin redness, vascular, spider veins. Neck: improvement in wrinkles, improve double chin. Face: chin lift, fact lift, face rejuvenation, wrinkles reduction, fine lines. 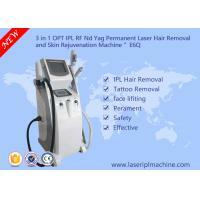 Tattoo: mole, pigment removal, tattoo removal, eyebrow tattoo removal. 1. Consultation Patients who have the following conditions but not limited should not take the treatment . When begin the treatment, take off the accessories such as watch, rings, bracelets or other metallic things which might be reflect light and cause danger during the treatment. Wipe off the cosmetic and clean the skin. 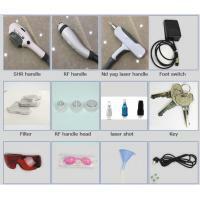 Ware the goggles to protect the eyes of the patients and the beautician. 3. Sanitize the treatment head with alcoholized cotton balls. 4. Clean the filters with alcoholized cotton balls.